As California lawmakers continue to kill soda tax proposals, a new analysis found that the industry has disproportionately directed campaign contributions to members of the Latino Caucus in Sacramento. MapLight, a nonprofit that tracks campaign spending, found that the soda industry gave, on average, twice as much campaign cash to members of the Latino Caucus as to the average member of the state Legislature in recent years. The analysis of campaign contributions from beverage trade groups, as well as Coca-Cola, Pepsi and the Dr Pepper Snapple Group, found that while the 24-member Latino Caucus makes up less than one-quarter of the overall Legislature, they received 42 percent of soda industry contributions during the 2015-16 election cycle. 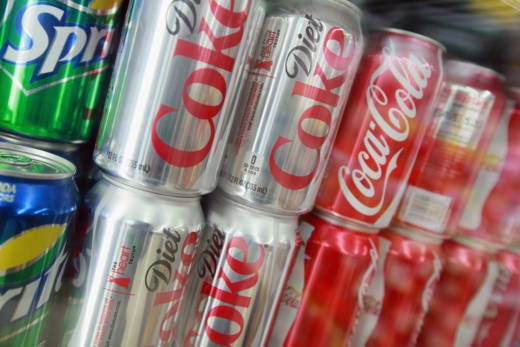 Alec Saslow, MapLight's communications director, said the organization was surprised by the findings -- and even more interested when it looked at how members who received money from the soda industry voted on past soda tax proposals. There have been five proposed taxes since 2002. The most recent was held in the Assembly Health Committee last month for study. In many cases, said Saslow, members simply abstained from weighing in on soda tax proposals. "When we took a look at the voting patterns and a bill that died in the Assembly Health Committee in 2015, we found that three Latino Caucus members abstained from voting, and those members received an average $16,000 from the soda industry, and were among the top recipients of soda industry money," he said. Saslow said the trend extended to the entire health committee. The analysis found that the industry funneled 2.3 times as much money to members of the committee that voted against or abstained from voting on the proposed tax as to those who voted for the proposal. On average, Latino Caucus members were given $5,198 by the soda industry, but the top recipients were given between $14,000 and nearly $19,000 last election cycle. In all, the industry gave about $332,000 to lawmakers last campaign cycle, a tiny proportion of overall campaign contributions. For example, the top recipient of soda money, Assemblyman Miguel Santiago, received $18,925.82 from the soda industry but $1.2 million in overall campaign contributions. A spokesman for Santiago declined to comment on the MapLight analysis. The American Beverage Association did not respond to a request for comment. Saslow said the findings are still striking, even if other industries are bigger players in Sacramento. He said $300,000 is a lot of money to most voters. "It does deserve public attention that self-interested corporations ... are making use of money to even potentially influence a vote," he said. "The contribution pattern itself underscores a larger systematic problem, which is essentially the outsized influence of corporations and wealthy donors in funding elections. And ultimately that undermines the confidence the public has that lawmakers are indeed working in the public interest." Not all members of the Latino Caucus are opposed to a soda tax, however. Speaker Anthony Rendon, for example, received the second-most soda money last campaign cycle: $15,806.57. But Rendon co-sponsored past soda tax proposals. Assemblyman Tony Thurmond voted for the soda tax and received no soda money.